Indira’s Garibi Hatao in the 1971 election was especially popular; it had great resonance across the nation, and was able to secure a landslide victory for the Congress. The Congress’s 2019 slogan, ‘Garibi par vaar, bahattar hazaar’, is a throwback to Indira Gandhi’s Garibi Hatao slogan of 1971. If elections are a festival of democracy, then catchy slogans are the lifeline of election campaigns. India’s electoral history is peppered with slogans that are worth remembering. A variety of pithy slogans stated in a range of political moments and speeches have frequently caught the imagination of the masses. One such slogan is ‘Garibi Hatao’, which surfaces from time to time in different avatars. The Congress’s 2019 slogan, ‘Garibi par vaar, bahattar hazaar’, is a throwback to Indira Gandhi’s Garibi Hatao slogan of 1971. The party has committed to give the poorest 20 per cent of Indian households an income of up to Rs 72,000 a year if it forms the government at the Centre. The Congress proposal has the potential to be a game-changer, even though its implementation could face many challenges. In the absence of the Congress organisational machinery — the Syndicate controlled the party organisation in practically all states after the 1969 split — the Garibi Hatao slogan worked well to make a direct appeal to the people. 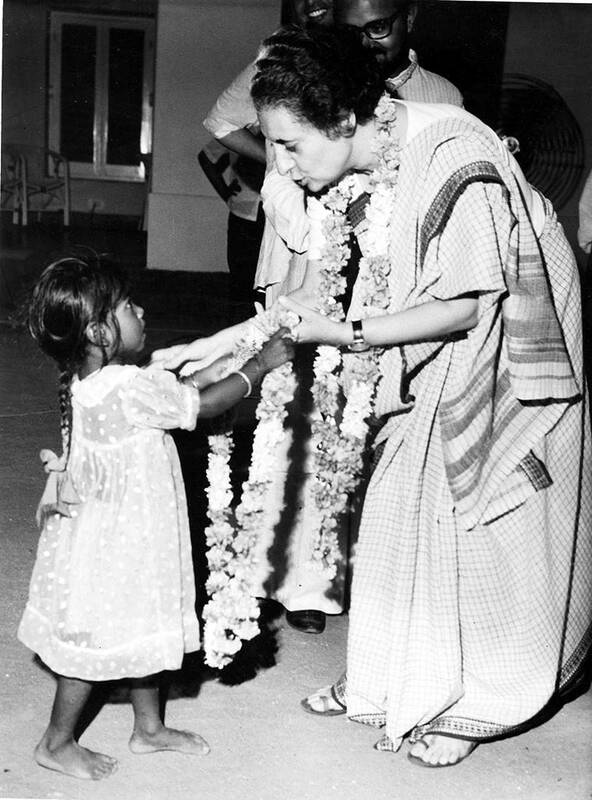 During the campaign, the primary substitute for the party organisation was Prime Minister Indira Gandhi’s personal image and popularity. Her message strengthened the impression among the electorate that she personally, rather than the Congress party, represented the renewed commitment to economic and social change. 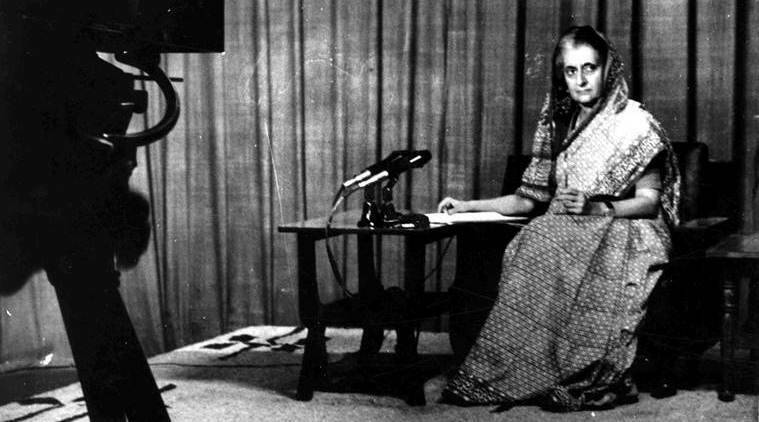 Indira dismissed the Opposition charge that she was using unprincipled methods, and instead claimed that their one-point agenda was to remove her. When Newsweek asked her about the main issues of the election, she replied: “I am the issue.” She declared she had nothing against individual politicians; her only concern was to improve the lives of the poor. The difference between her opponents and her, she said, was this: “Woh kahte hain Indira hatao, main kehti hoon garibi hatao”. Indira coasted to power on the back of Garibi Hatao, which momentarily swept away caste, religious, and regional loyalties. The 1971 election campaign was a political gamble in which Indira could defeat her opponents through a direct appeal that promised radical change. The astonishing results gave Indira’s Congress a clear two-thirds majority, decimated the Right opposition and turned the tables on the Left and neutralised it in its regional strongholds. However, four years later in 1975, the Allahabad High Court was to find her guilty of electoral malpractice and misuse of the State machinery, and declare her election from Rae Bareli invalid. ‘Bahattar hazaar’ is so far among the hottest slogans of the 2019 elections. Its folk connect is captured in a witty WhatsApp forward: “We will wait for our 15 lakh rupees (promised by the BJP during the 2014 campaign) until the day of the vote — and if we don’t get it, we will press the seventy-two thousand button.” It is a simple, clear message, especially apt in times of economic distress and rising inequality. In contradistinction to this, Prime Minister Narendra Modi has focused on the threats to India’s national security, and complained that nothing has been done in the last 70 years. Sounding the poll bugle in Uttarakhand’s Rudrapur on March 28, he criticised the “Congress culture”, which he said had significantly hampered the progress of the country because of numerous scams and corrupt activities. The Prime Minister has also attacked the Congress for not doing enough to eliminate poverty even after ruling the country for several decades — and asserted that the poor today believed that India would become poverty-free if it became ‘Congress-free’. That he has been forced to recall Garibi Hatao — if in different words and if only to disparage the Congress — is indication that the BJP cannot leave behind the issue of poverty, something that it has claimed to address through the PM-KISAN Yojana and loans for small businesses, and by reminding the youth that selling pakodas is also employment. The overall context of the 2019 general elections is similar to 1971 in one other way, too. The elections of 1971 were held amid growing tensions with Pakistan. The Bangladesh War was some months away, but the worsening relationship between the two countries had cast a shadow on India’s elections — just as it has done today. The Nyuntam Aay Yojana (NYAY) evokes the 1971 Garibi Hatao campaign — except this time the Congress is fighting with its back to the wall after the colossal defeat of 2014. Rahul Gandhi’s NYAY seeks to project the Congress as the protector of the poor, and stands in contrast to the relative silence on public employment or social justice in the manifesto of the BJP. As in 1971, it gives the Congress the appearance of being concerned about the issues of the people, an image that the party lacked in 2014. Whether this strategy will succeed in 2019 without a powerful leader (and an effective organisation on the ground) is the 72,000-rupee question.